By P. Neelakantha Achary: Most of the investors don't follow the principles before investing into the stock market. There are no rules for investing, these should be considered as golden principles of self regulation. So that, one should not lose hard earning money in the stock market. Investing in stock market requires sound knowledge about stocks, companies and a bit of knowledge on financial reports and analysis. That does not mean a person without knowledge can't invest money. Certainly anyone can invest money, but getting profit out of its required their understanding of the market function and companies financial health. Here are top five principles one should follow before investing into stock or equity market. 1) Invest only Surplus Money into Markets: Lots of investors do ignore this principle. They do try hard to get huge return from their investment with putting all the funds they have. That is simple disastrous for them since market are more volatile. And, in that scenario it would not guarantee a fixed return from the investment. For this investors do need to have some surplus fund, so that they can bear the shock if the market tumbles. 2) Manage you Time to Track: Some investors want huge return but reluctant to spend ample time to track the market activities. It is very important for investors to cater as much as time tracking the performance of their stock,they invested. Without this, they may suffer huge loss. In fact, investors need to be very cautious about the stock. 3) Avoid Emotions While Investing: Investors need to control their emotions while investing. An emotional approach in investment could lead to severe loss. Most of the people do not control their emotions while investing and suffer loss. In realistic approach and proper analysis could give the better result. Company’s financial statement should be taken into consideration while investing into the stocks. 4) Have Realistic Expectations: One should take control on his/her expectations from the stock market. The fact can’t be denied that markets will not be positive all the time. Trading involves risk so one shouldn’t expect much from market. One can’t have win-win situation always. 5) Learn Fundamentals & Technical Aspects: Simply investing in stock market is wise but sound knowledge is necessity. One should deal properly with the jargons. Those will be there always to puzzle investors. If the word ‘technical analysis’ is bothering you, just wait don’t investment into the market, rather go at class to learn some fundamentals. 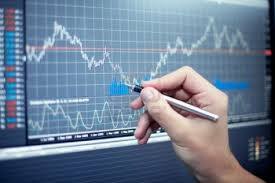 Be ready with all the details about financial markets and fundamentals of stock market. One can year very hefty amount from stock market but in long-run and following best practices.